Microsoft Intune for Education is a good example here. It’s a cloud-based app and device management service which is ideal for use in shared learning environments. 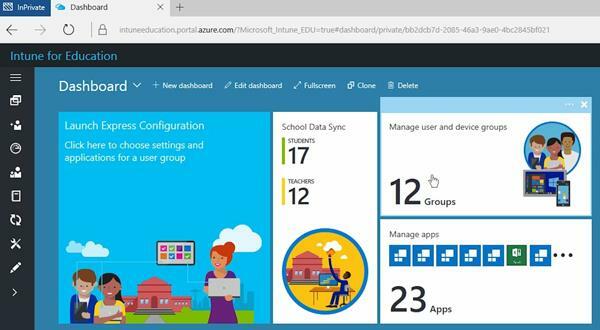 Intune means you can set up and manage student devices in minutes, set up default policies, deploy apps easily and customise them using register data. 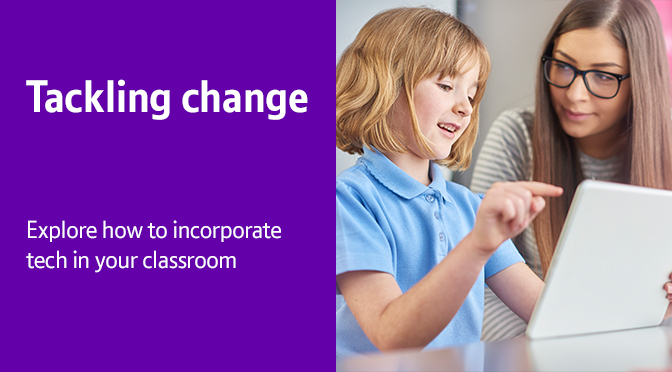 Find out more about Intune for Education. So you’ve got the devices and a way to set them up and manage them easily. But how should you go about introducing technology to your students? Using gaming to make learning more fun is easier than you might think. Pretty much any time you bring in an activity that involves a level of friendly competition between students could be called ‘gamification’. But there are some cool out-of-the-box tech solutions to gamify the learning experience too. 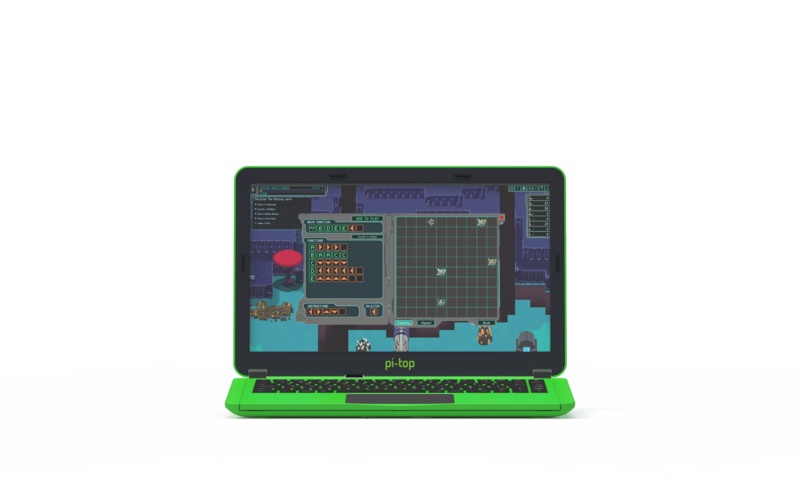 A great example is pi-top, which helps to teach coding skills to students by introducing the Raspberry Pi in a format that’s easier for students to use. They can navigate their way around a scientifically accurate, STEM focused game called CEED Universe, using coding to progress through levels and tasks. Video conferencing tools have never been better, and your students will need to be familiar with using them in preparation for work. 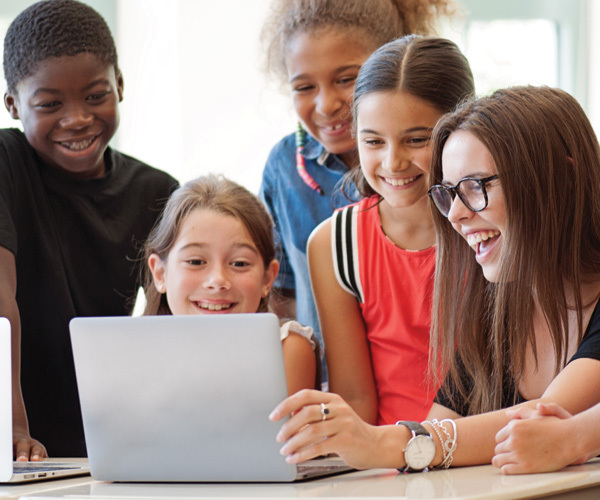 Skype actually have a solution especially for education, which allows you to book a session with experts in a range of topics, and have them talk to your students as a guest via video conference. Hearing things from another perspective will really help your students to grasp the subject matter. And you could even arrange to catch up with another class anywhere in the world via Skype. Using headsets is recommended for lessons where video conferencing is used a lot. They provide super clear audio quality and reduce distractions, so your students won’t miss a word. A lot of schools block YouTube over fears about inappropriate content or just plain old time wasting, but more and more students use it as a search engine to find information for their studies. If used correctly, YouTube can be an invaluable resource for teaching materials. YouTube for Schools has additional filtering, no adverts and higher safety levels for the content displayed. There’s a huge array of education channels available, not to mention the potential for your students to let their creativity loose. One idea might be asking them to create a video newsletter, so students can get to grips with content planning and evaluate what they’re learning. And they’ll pick up filming and editing skills along the way too. Digital transformation in every aspect of our lives (like getting a job, managing our money, planning social activities, pursuing hobbies etc) has meant that today’s students need to have different citizenship skills. Educators have a responsibility to ensure these skills are taught in classrooms, preparing your students for a future where technology will be largely unavoidable. Digital citizenship skills cover everything from internet use – such as etiquette on social media, not sharing personal information and reporting cyberbullying to an adult – to exploring the digital footprint we leave behind. All crucial stuff, especially when you think about how many employers will Google candidates during the recruitment process. In fact, 36% of employers refused candidates an interview based on their social media activity in 20161. The survey by Monster.co.uk also found that 65% of recruiters Google prospective employees during the hiring process, and more than half of them admitted that a candidate’s online reputation has a direct impact on hiring decisions. Sometimes it’s best to let the students be the teacher for a little while. Giving them an hour or so each week to cultivate their own interests in technology could have some surprising results. So long as your students have the right equipment then the sky really is the limit. They could build a robot using YouTube tutorials, or film and edit their very own movie. Whatever they choose, they’ll be taking ownership of their learning – and you never know, you might pick up a thing a two.